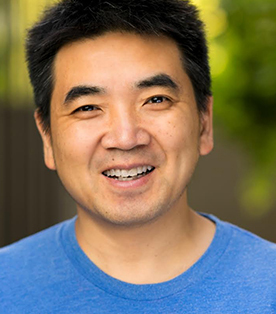 CEO Roundtable, Eric Yuan, Founder and CEO of Zoom - TOMORROW! Eric is a Silicon Valley leader, product visionary and entrepreneur. He founded Zoom in 2011 shortly after leaving Cisco’s Webex where he was one of the earliest engineers. From 1997 to 2011, as Vice President of Engineering, Eric was the heart and soul of Webex, proudly growing the team from 10 engineers to more than 800 worldwide, and contributing to grow revenue from $0 to more than $800 million. With Zoom, Eric’s vision of making high quality video communication technology available to everyone is quickly becoming a reality. Zoom already boasts 850,000 business customers today and Eric says his company's brand is now ahead of WebEx in mindshare. Zoom has duly impressed a number of investors, including Sequoia Capital, which invested $100 million into the company in a Series D funding round, valuing the company at $1 billion. The event is organized and will be moderated by JP Emelie Marcos, MBA 2001. JP is the co-founder and CEO of SignifAI, a startup based in Sunnyvale, CA. that integrates machine intelligence to help site reliability engineering teams increase uptime and strengthen systems. JP’s career spans 20+ years leading teams in technology startups and large companies as an investor, GM and CEO. Prior to his business career, he served as a paratrooper officer in the French Army. Follow JP on Twitter @SignifAICEO. This is a joint HCSF and HBSA/NC event. This event is also sponsored by and will be held at the offices of Perkins Coie. Advance registration is required to be granted building access. Attendance is limited and the event is expected to sell out.